Occasionally through the years I have purchased audio equipment that was previously housed in a smoking enviroment. 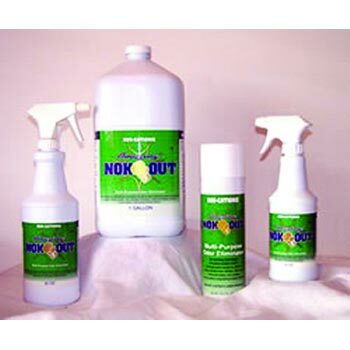 I am personally very sensitive to smoke smell, and before I found Nok-Out, I was never quite satisfied with any product or process for removal of smoke smell and nicotine stains. This stuff is amazing. It is VERY gentle, yet it is obviously formulated to dissolve smoking residue. You will not believe what comes off with one swipe! Now be forewarned, a truly smoke-filled piece of equipment is going to take work to get smell-free, but it IS possible with this product. I have even used it safely on wood, as well as metal and plastics. A 16oz bottle is available for under $15, so very affordable, too.